The second holiest Muslim city after Mecca, Medina is the burial place of the Islamic Prophet Muhammad. Following the rapid expansion of the Muslim Empire, Medina now has a population of over 1 million people. Serving as a gateway to Mecca, this city attracts thousands of Islam followers each year on their pilgrimage of Hajj, Umrah and Ramadan. Cheap flights to Medina are now available for a limited time only, so book your flight today and experience the rich culture and historical landmarks of this city! Medina is home to Prince Mohammad bin Abdulaziz International Airport (MED), a 25 minute drive from the city centre. Renowned for its religious significance with the Prophet Mohammed, the city boasts a number of mosques and places of worship. The architectural design and patterned structures are impressive, namely the Prophet’s Mosque and the Quba Mosque. Often used as a gateway to Mecca, many Muslims visit Medina each year during Hajj, Umrah or Ramadan to mark a significant religious pledge. 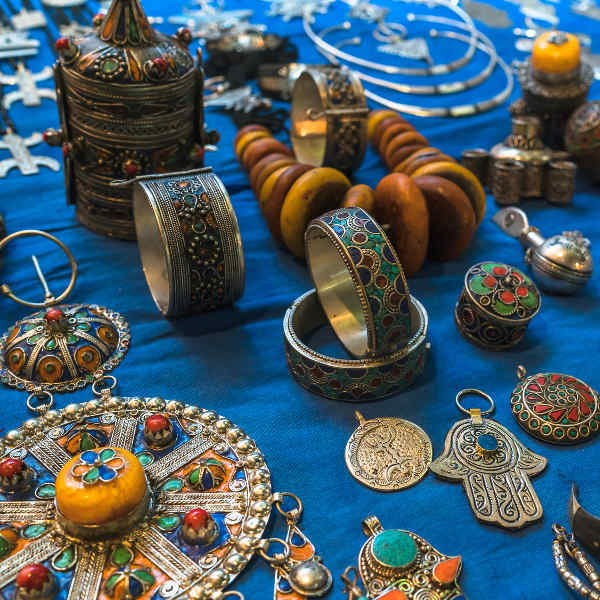 The streets around the Prophet’s Mosque are lined with shops and visitors can pick up prayer rugs, clocks, prayer beads and the most delicious dates to take home. Like most of Saudi Arabia, Medina experiences unfavourable hot temperatures throughout most of the year. Most visitors to Medina are Muslims who go on pilgrimage during Hajj, Umrah and Ramadan, occurring annually at different times but generally during the later months of the year. If you are not going on pilgrimage, but rather to explore the city, then the more favourable time to visit is between October and May when temperatures are cooler; January and February are the coolest months with temperatures reaching a maximum of 28°C. Avoid travelling between June and September when temperatures are unbearably hot! Medina (Madinah) is the holiest city of Islam second to Mecca. Also referred to as the ‘City of The Prophet’, it is located in the Hejrah province of Saudi Arabia. 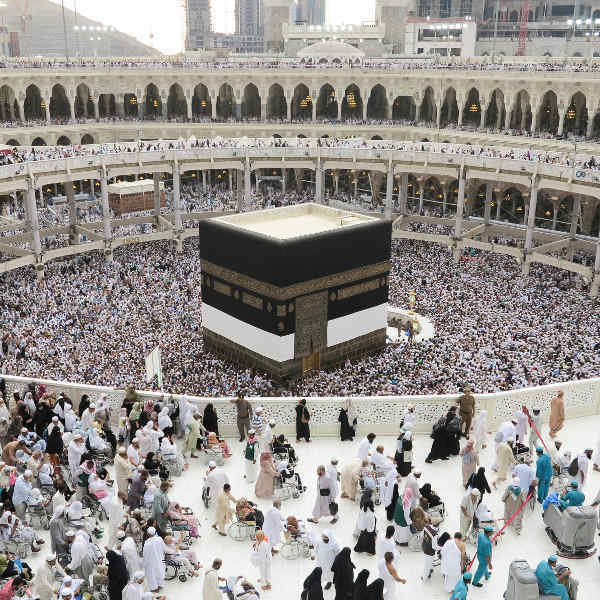 Medina forms part of the holy Hajj pilgrimage undertaken by Muslims. 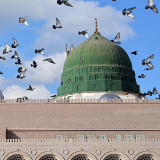 The Prophet Muhammad chose to settle down in Medina after he was driven out of Mecca. It is here that he inspired his followers and delivered his teachings for a few years. 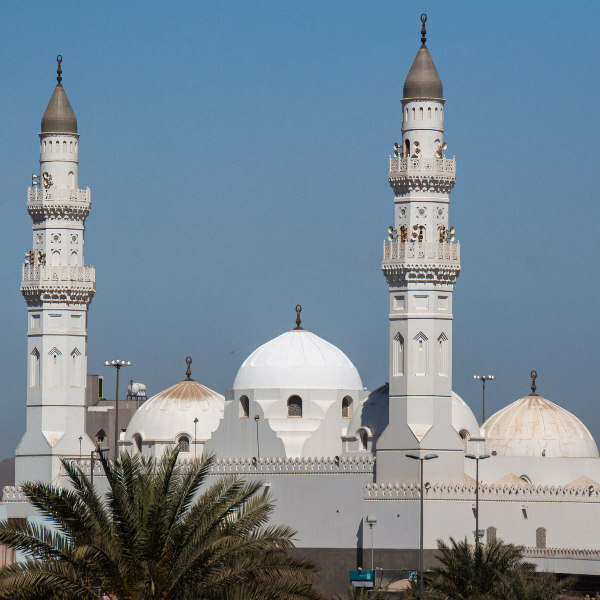 Medina is home to three important mosques: The Mosque of The Prophet, the Quba Mosque and The Masjid al-Qiblatain. The Mosque of The Prophet houses the burial place of The Prophet Muhammad. The Quba Mosque was the first mosque built. Although Non-Muslims are restricted from entering Central Medina, the outskirts of the city are open to all. Some of the few tourist attractions around Medina include Mount Uhud (where the great battle was fought), Madina Media Museum (housing historic scriptures) and Madain Saleh Tombs. Despite the fact that it is a very religious city, Medina has a lot to offer. It is full of local shops, great cuisine and beautiful architecture. Compare several airlines, and book your cheap flights to Medina online at Travelstart! Very little crime occurs in the cities of Saudi Arabia. The justice system is governed according to the Shari'a or Islamic Law. The crime rate in Medina is very low in comparison to other areas outside Saudi Arabia. This is perhaps due to the severe repercussions related to crime that is committed in the city. Nonetheless, avoid carrying large amounts of money and drawing unnecessary attention to yourself. According to government regulations, travellers are required to be inoculated against Meningitis. It is recommended to be vaccinated against Yellow Fever, but this is not mandatory. Be aware that non-Muslims are prohibited from entering Central Medina and you may be stopped at checkpoints to show your passport and visa. If you try to enter as a non-Muslim you may face deportation. The outskirts of the city are open to anyone. Christians are allowed into Saudi Arabia for work but they are not allowed to practice their faith openly. 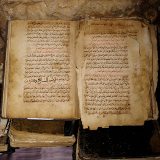 Due to the fact that the land is ruled under Islamic law there are many limitations and prohibited actions which are seen as harmless in western-governed societies. Women in Medina, Muslim or not, must always wear full hijab when out in public. Hijab requires one to dress modestly (wear loose fitting and non-revealing clothing) and make sure they are covered from head to toe with exception of hands and feet. Failure to do so can result in police action. There are also certain limitations on women's rights in Saudi Arabia, such as not being permitted to walk unaccompanied by a man in the street. Most of the hotels in Medina are restricted to Muslims only and are located in the centre of town close to the Prophet’s Mosque. You can find many upscale hotel as well as more budget-friendly accommodation a little further from the Masjid Nabavi. These low-cost hotels are fitted with above-average amenities and home comforts. In essence, the further away from the Mosque, the cheaper the accommodation. On the outskirts of the city are a few hotels catering to non-Muslims and flight crew. You’ll find restaurants and fast-food chains aplenty, serving up eastern and Asian cuisine. Note that credit cards are mostly unaccepted, so ensure you have enough of the local currency in cash. The only public transport available is taxis. Be aware of taxi drivers trying to sell you a sob story about their hardships – this is known to be a scam to extract money from unsuspecting tourists. When you leave the airport, make sure you locate a clearly-marked taxi as some men may approach you claiming to be an airport official to extort taxi fees from you. If you are on the roadside, you may encounter a local offering to give you a lift to your destination for a fee. This is at your own risk and is not encouraged. Most pilgrims are part of an arranged pilgrimage group and there are special pilgrims’ buses travelling from Jeddah to Medina and Mecca.